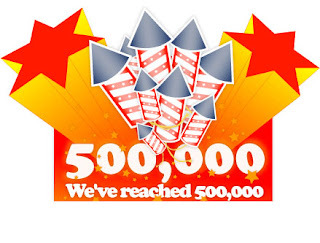 The Good News: The wife and I are absolutely thrilled that we have crossed the “half-million unique pageviews” mark. The No-So-Good News: Due to increasing demands from our day jobs and family committments, we are no longer able to update our blog on a daily basis. We also need to shelve any further plans for SG PropConsult. The wife and I really appreciate the support and encouragements received from you (our readers) since we started SG PropTalk about 2 years ago. We will continue to post on our blog as often as we can, and maybe include a property review (or two) when we can find time to visit showflats. No Comment to " 500,000 unique pageviews later... "